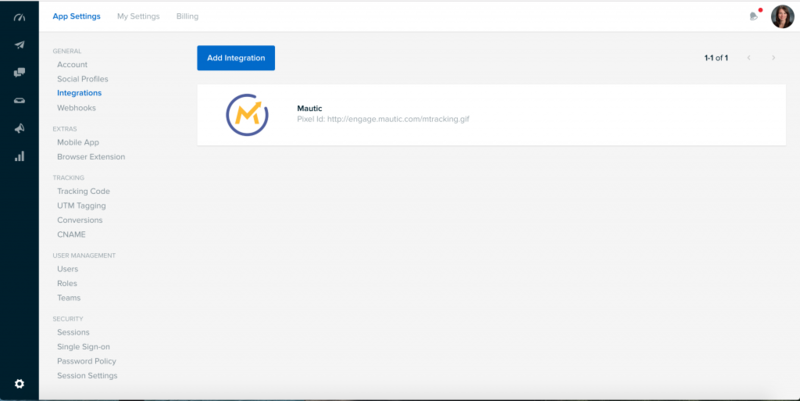 If you’re looking to gain a better understanding of how your social outreach is converting into website traffic and even leads, the Oktopost integration for Mautic may be a great solution for you. Oktopost is a robust social media management platform that can help you easily manage, measure and amplify all of your social media marketing. Connected to Mautic, it becomes even more powerful by giving you the visibility into which people in your audience are engaging with your brand. 1. Log into your Oktopost account. 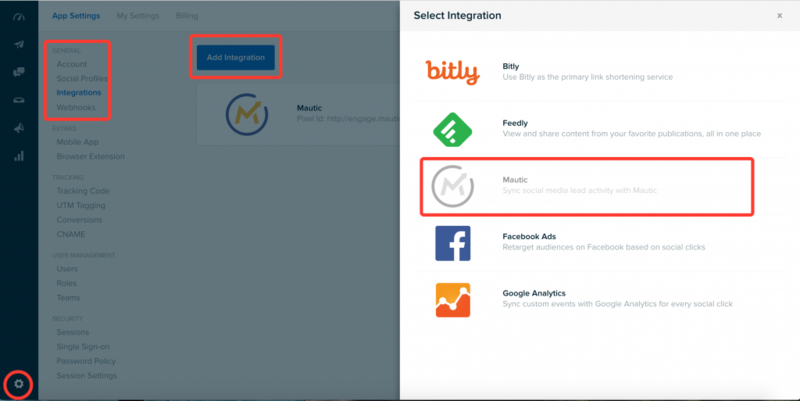 Make sure your Oktopost account is enabled with the Mautic Integration. Contact your Oktopost Customer Success Manager for assistance. 4. In the Mautic Settings panel, enter the Account CNAME. You may need assistance from the person that manages your web domain to set-up the CNAME. Visit the Oktopost knowledgebase for more information about setting up a CNAME Record. 5. Once the information for both the Tracking Pixel and CNAME have been added to settings, click Save and your account will be connected. 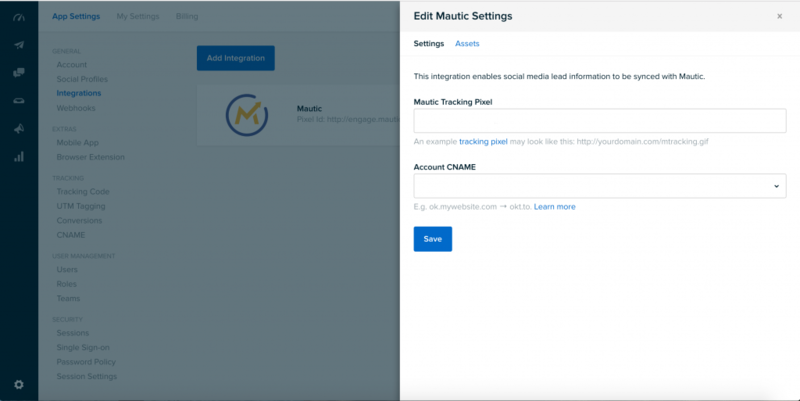 Now that your Mautic and Oktopost accounts are connected you can view audience engagement in the contact history. 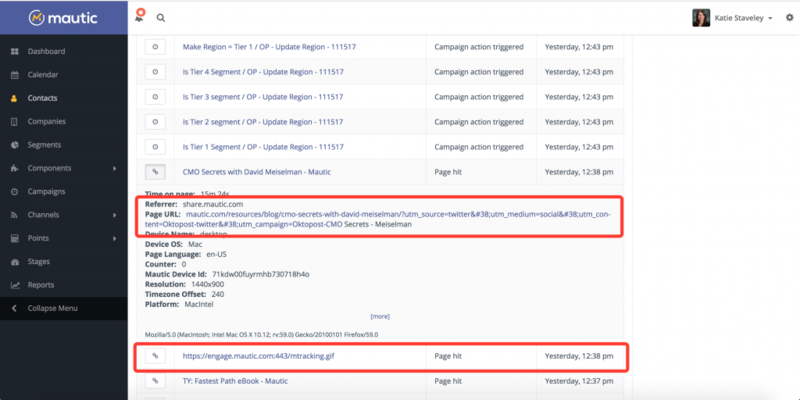 The contact history will include the referrer (the assigned domain for your Oktopost account) and if you’ve turned on “UTM Tracking” in your Oktopost account you’ll also be able to see specific campaign details within the contact history. For more information about Oktopost visit https://www.oktopost.com or http://community.oktopost.com.